The world turned towards the US on the topic of food vs energy, a debate that is going strong as a primary cereal for food, feed and fuel production is growing thin. Corn, soyabean and wheat prices have surged between 50 and 30 per cent since June after the US endured the hottest July since temperature records began 117 years ago. As America exports nearly half the world’s corn, a third of the world’s soyabeans and up to a fifth of the world’s wheat, changes in US supply have a significant impact on global agricultural markets. However, the matter is not so simple, as suddenly reducing alternative energy sources may have a negative impact on oil prices and subsequently even greater economical consequences than the higher cereal prices currently experienced. 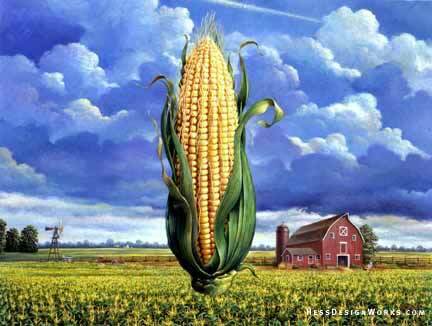 However, the already high price of corn may have a natural impeding effect on the production of ethanol.